Balloons is an important element of character’s emotions and scenes. and announcement type of balloon will greatly reduce. 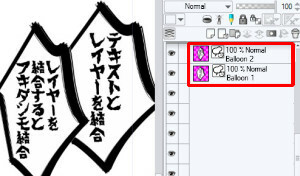 to use balloon materials of MANGA MATERIALS. a summarized state of Clip Studio Paint page as below. to register desired balloon as a material. There are 3 types of balloon materials: balloon layer, image material layer, and flash. 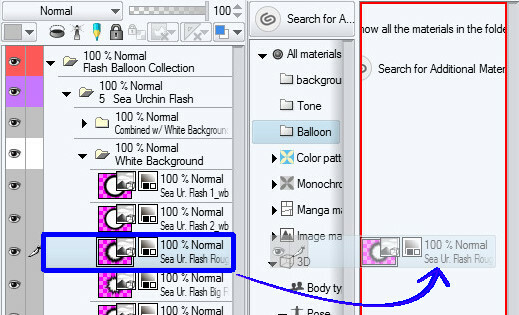 A layer with balloon icon is a Balloon Layer. The icon in the green frame is a mark for Flash. 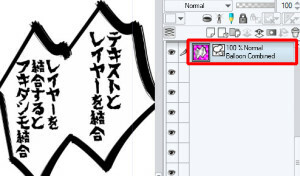 The icon in blue frame is marked for Image Material Layer. when typing text on the balloon. 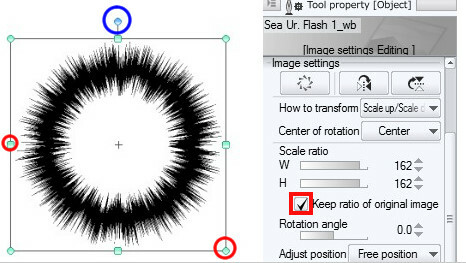 Line’ width and color can be change freely by using the operation tool. 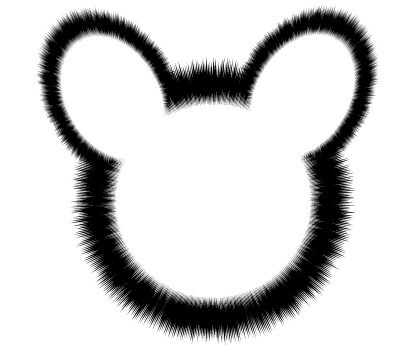 Also can freely change the shape of the balloon or make tails. but it can change the line width and density freely. However, the processing of flash’s white background is very rough. If put on a tone or beta(solid color), the difference can be clearly seen. On the other hand, the Image Material Layer doesn’t combine text and balloon. There is also no function to operate or change the width and density freely. At first glance, the Balloon Layer is overwhelmingly useful. so they cannot make much various expression. Also, the complicated balloon have the disadvantage that the operation becomes heavy. 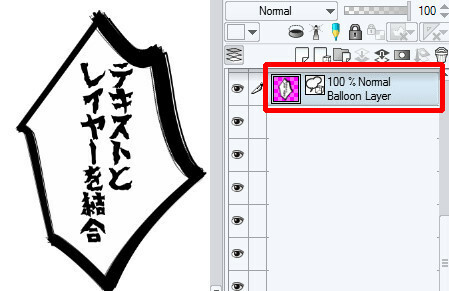 with light and smooth operation that Balloon Layer and Flash cannot perform. In MANGA MATERIALS, we mainly produce Image Material Layer. the border of the balloon disappears automatically and it connects to one. use a balloon that is described as “Combined with White Background (cwb)“. 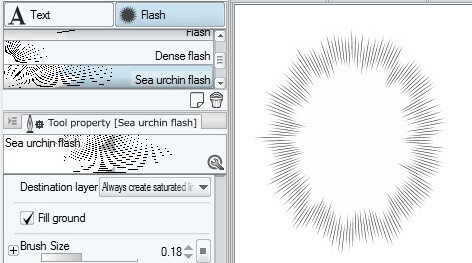 the complex flash is automatically connected as shown below. dealing with balloon of Combined with White Background (cwb). Be sure to put these balloons in a normal mode folder. It cannot be seen if using them without putting it in a folder. If the balloons disappear, just put them in a normal mode folder and they will be fine. 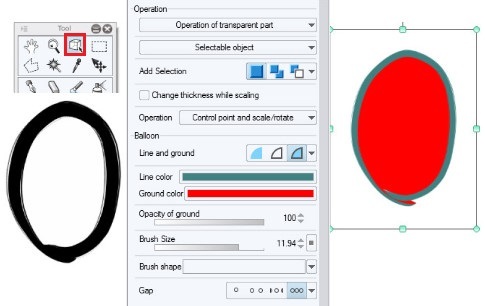 Balloons can be freely moved and deformed using the operation tool. it may be displayed with an icon inside the blue frame or as other icon. All sides of buttons (red circle) can be dragged and dropped to scale up or down. For rotation, just drag and drop the button in blue circle. 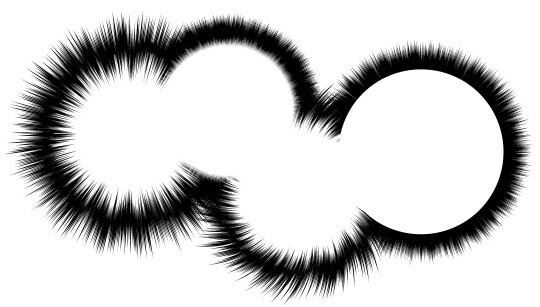 To keep the shape of circle, tick the “keeping ratio of original image“. You can make free shapes by scaling and rotation. 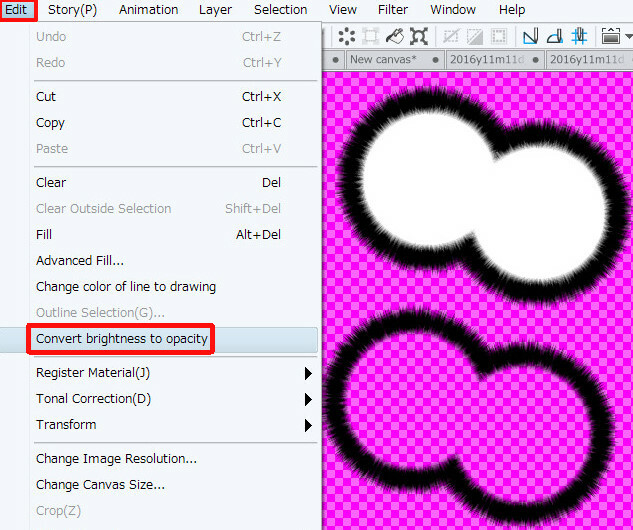 when converting Balloon Layer or Image Material Layer to raster layer. 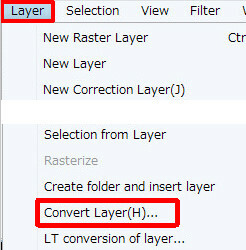 right-click on the corresponding layer and convert the layer. 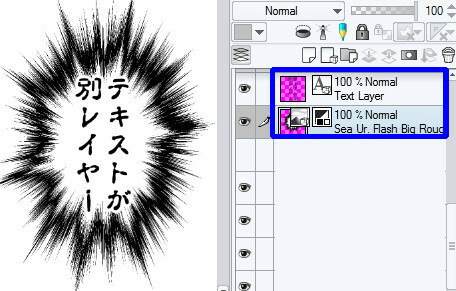 ※Please note that after raster conversion, the image becomes rough if over enlarged. 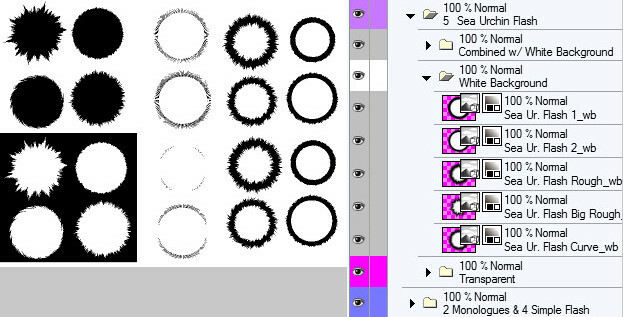 then right-click → Combined Selected Layers. 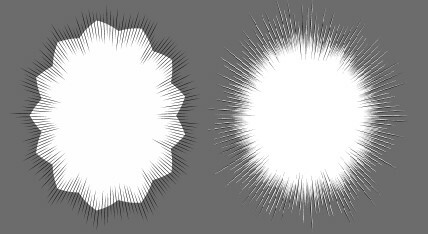 This is the basics of Clip Studio Paint Balloon material.